First visited in 1774 by Cook on his second voyage who named the island for it supposed resemblance to Scotland, it became a French territory in 1854, later serving as a penal colony for 4200 partisans of the Paris Commune. 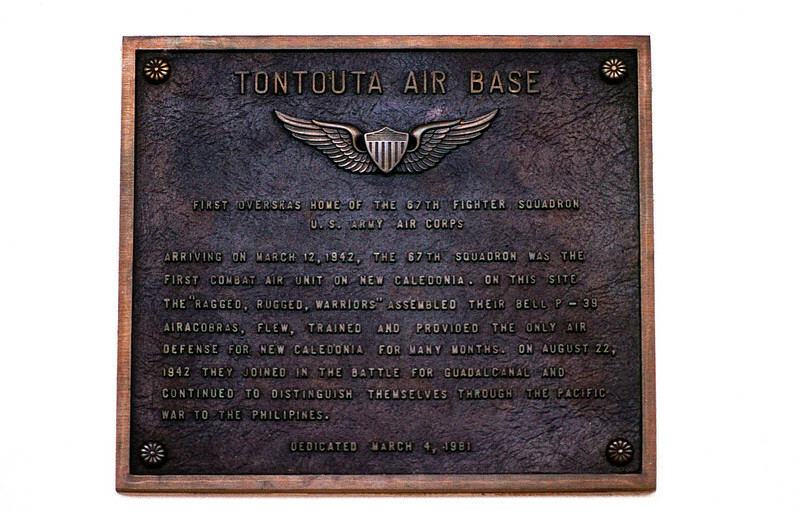 As noted it became the home of the 67th Fighter Squadron that supported the First Marine Division -- among them my uncle Gunnery Sgt Bill Sullivan -- who disrupted the Japanese plans to build a crucial airbase on Guadalcanal in a campaign that lasted six months before the Japanese withdrew. The capital of New Caledonia -- Nouméa -- served as the headquarters of the United States military in the South Pacific.